2014 will see a mass roll out of SMART meters to all households across the United Kingdom , and will be the work of government in conjunction with the energy providers to move to next generation meters which allow individuals to monitor the energy they consume within the household. The new meters will state how much energy is being used within the home at that second in time, but also provides more accurate bills and the ability to tailor when to use electricity i.e. at night it would be cheaper when the demand is lower. The SMART meters will be installed by energy providers and the cost of installation will be added to the consumers bills and paid off over time. 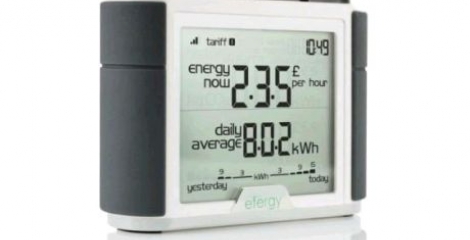 If a householder moves, the cost of paying off the SMART meter will be charged to the new tenant. It is estimated by DECC that completion of instillation roll out will be 2019 ,where it is hoped that 97% of homes will have had the SMART meters . Those that have the meters installed will firstly notice a saving of around an estimated £23 per year (DECC figure) on their energy bills. The ability to do save further will be done so by tailoring the usage of the electricity within the household. Off- peak electricity will prove to be cheaper per unit and is normally found at night thus people who already pay less for running the dishwasher at night will save even more once SMART meters are installed. The SMART meters will be able to provide more accurate bills as they only take into account what is actually used, compared to the estimating totals that energy providers use today. The SMART meters team (Team within DECC) are looking forward to seeing how the switch is implemented and the general positives and negatives that may arise during the process. They feel that it is highly important to give consumers greater awareness of how much energy is being used but also find energy prices at a competitive rate as well as changing their behaviour at home. At the moment people do not know how much it cost to charge their phone or leaving electrical appliances things on standby. Altogether it shall prove interesting how people take to the new meters and what if any behaviour changes may come from them. It is also a different stance by government leading to more efficiency savings by energy providers as they are already under obligation to increase efficiency and do so by giving out energy saving light bulbs etc as incentives. It is a highly ambitious scheme to achieve 97% of households by 2019 and starting in 2014, 5 years seems a very short period to achieve this target, so we shall wait and see how they do.